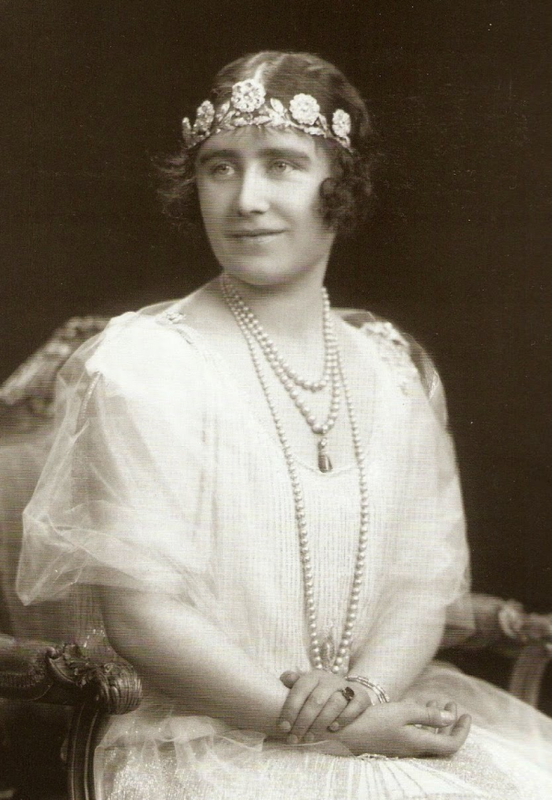 The tiara takes its name from the Queen Mother’s family — she was born Lady Elizabeth Bowes Lyon, daughter of the Earl of Strathmore and Kinghorne. 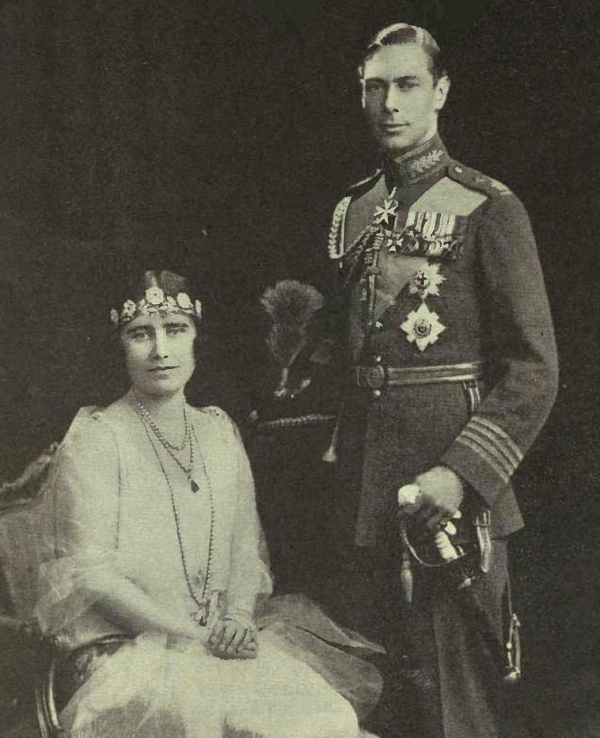 When she married the Duke of York in 1923, she wasn’t yet destined to be queen, but her parents decided a new duchess needed a new tiara regardless. They gave her this floral piece, which was bought from Catchpole and Williams, a dealer based in London. In The Queen's Diamonds, Hugh Roberts notes that although the piece was purchased in the 1920s, it was made in England in the late nineteenth century. He also reveals that the flowers, which can be removed and worn as brooches, could originally be swapped-out for five collet-set sapphires. 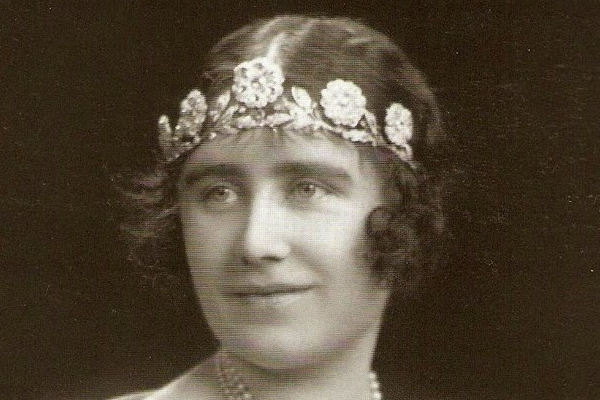 Like many other ’20s tiaras, this one was initially worn low across the forehead. Some have argued that we’ve not seen the tiara for so long because, well, almost no one wears a tiara that way anymore. But images do exist of the Queen Mum wearing the piece atop her head, so it can be worn that way. The piece has two separate frames, one for bandeau-wearing and a traditional "top of the head" frame. Others think the tiara may have simply fallen into disrepair in the many years since it’s had a public outing. This is a persistent theory -- I almost expect someone to bring it up in the comments on this very post -- but it is almost certainly false. Both of the most recent sightings of the tiara -- during the 2002 Victoria and Albert Museum exhibition and in The Queen's Diamonds -- showed it to be in good shape. I think it's simply a matter of the Queen Mother's evolving taste. The Queen Mum only wore the tiara in her younger days; later, she preferred more substantial sparklers. The current queen now owns the tiara, having inherited it from her mother, so it’s certainly possible that we may see it again one day. It was supposedly discussed as a potential wedding tiara for the Duchess of Cambridge back in 2011, and I could certainly see this tiara on a younger princess. The tiara has even been suggested by some (including me!) as a bridal diadem for both Meghan Markle and Princess Eugenie. 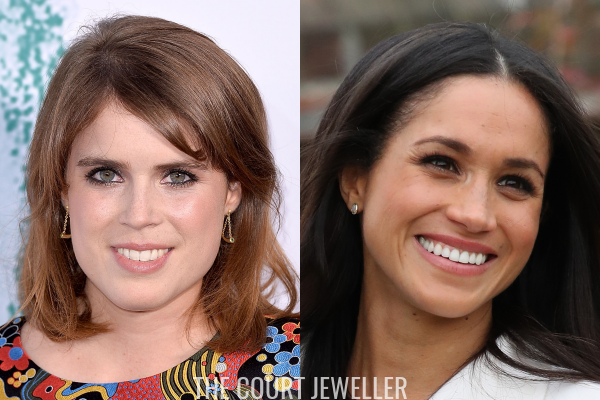 Could you see the tiara on either of these modern royal brides?